Home Editorials EDITORIALS FEATURES Can a Weekend in the Outdoors Actually Be Fun? A weekend away in the woods no longer means sleeping in harsh conditions and in cold weather; nowadays, it means you can live with some creature comforts such as your cellphone (solar batteries) and even good food. Camping can be great, so make sure you give it ago! You have no idea what you’re missing out on, and it can be incredibly fun. Don’t write it off before trying it. 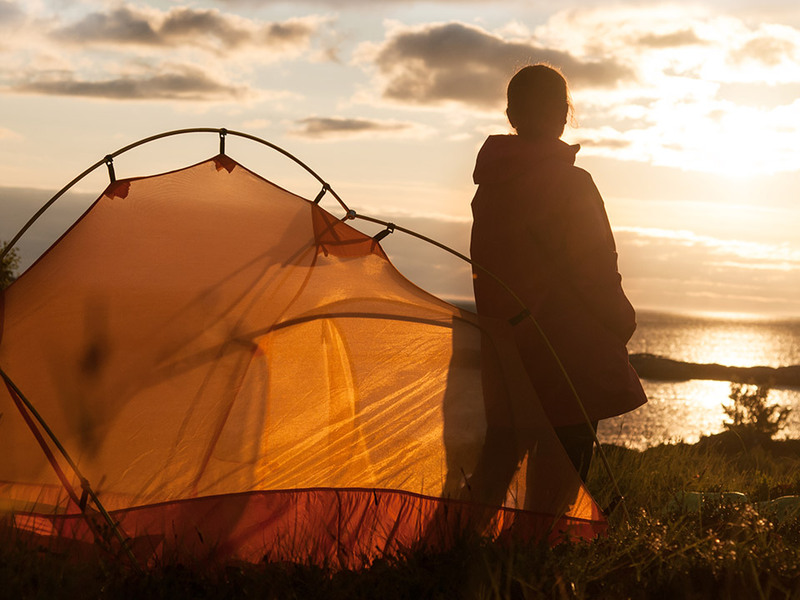 Here are some reasons why camping can be really fun even for the more glam among us! One of the coolest things about choosing camping for a weekend away is that you get to shop. You can find a whole range of outdoorsy stuff on sites like woodburyoutfitters.com that can be fun to buy and can prepare you for a good weekend of camping. Whether it’s the clothes you are going to wear on your weekend away or the stuff you are going to use like torches, cooking equipment and camping knives, it can be a lot of fun to shop for what you are going to need, picking up things you’d probably never thought of buying before. Glamping is a new concept that has only been around for a few years, but it essentially means luxury camping. This means campsites where there is electricity, good bathrooms, and everything else you need to enjoy your time camping, even if you’re not cool with the ‘getting back to nature aspect’. If you like the idea of spending a weekend in the outdoors but also want your usual amenities and prefer some luxury on your vacation, then glamping could well be something you’d like. However, it can be more expensive than standard camping so it may be something you have to weigh up the cost. Nevertheless, creating memories and experiencing something fantastic is far more important than expendicture. Make sure you treat yourself! Another way you can enjoy camping when you aren’t really someone who sees themselves as outdoorsy can be to fill your weekend with cool activities. You may not think of yourself as someone who enjoys things like fishing, but by giving it a try, you may be surprised by how fun it can be. You may also think you won’t enjoy pitching a tent or cooking on a camping stove, but these are all things that can be a lot of fun when done with friends. You can also, depending on where you camp, try things like hunting, playing games with your friends, and telling stories, which can all be a lot of fun. Camping may sound like a nightmare to people who are used to a more glam life and lots of amenities, but it really can be good fun when done with the right people. It can also make for a cheap vacation that you’ll remember for a lifetime, so don’t be put off of the idea of sleeping under canvas and give it a try!